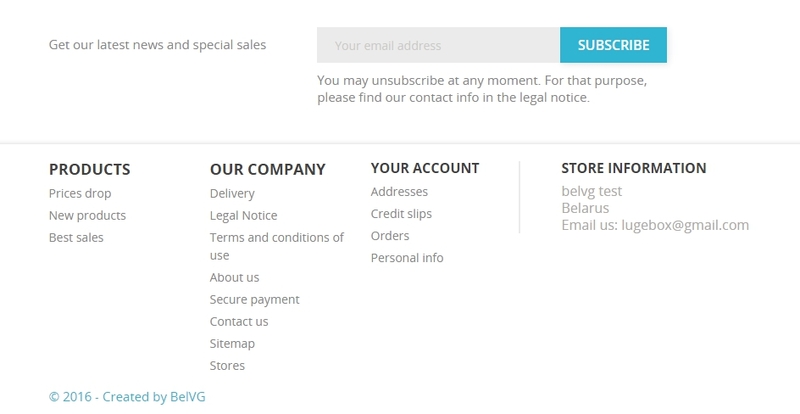 During the configuration process of Prestashop store, you might face some problems with footer copyright message editing. By default it looks like “© 2016 – Ecommerce software by PrestaShop™” and it has a link that transfers you to www.prestashop.com website. So to edit it and change the link you have to follow these simple steps. It doesn’t require some special development skills so anyone of you can easily perform it. Let’s go! 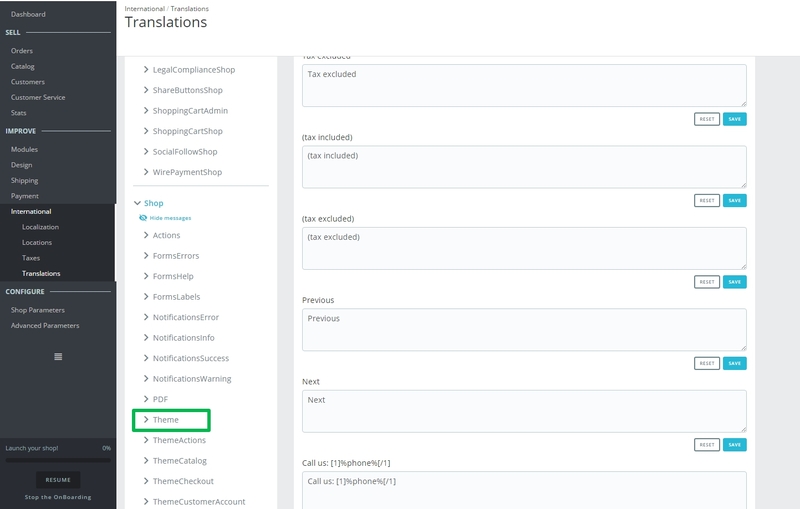 Navigate to International -> Translations in Improve section of the admin menu. 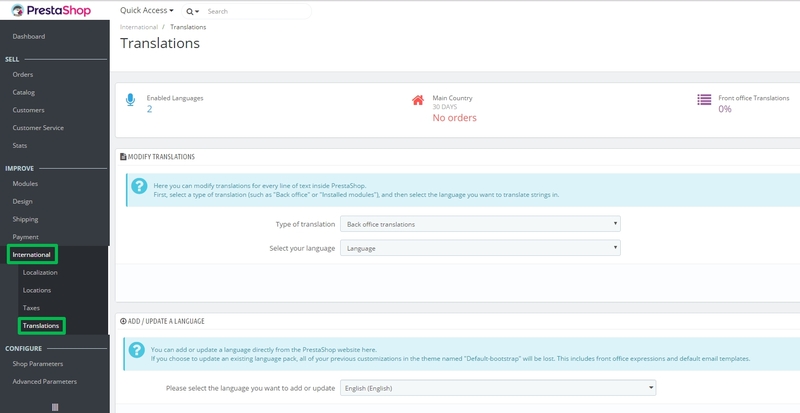 Select the following positions in Modify Translations section. Type of translations: choose Theme Translations in the list. After a new field appeared, which is called Select your theme please choose a necessary theme in the drop down, in which you want to implement all modifications. In our case, it’s Classic theme. And in the end, you need to choose a required language. For example, English. So there is a list of translations and you need to find “Ecommerce software by”. You can Navigate to Shop -> Theme (and find it on the second page) or just simply use search. Ok, that’s done. But to modify Prestashop title and URL you have to enter a directory where Prestashop is installed. 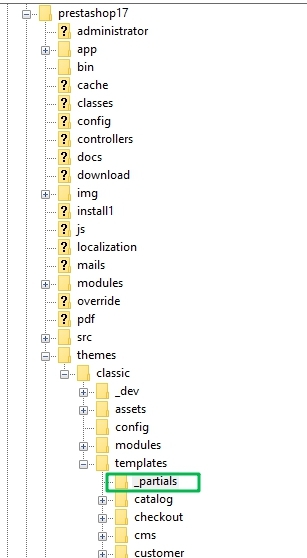 Let’s use any File Manager to get an access to the required files. Instead of them, please add the necessary link and name of the company (or whatever you want). Just save all changes and check if all modifications were applied on the frontend. Once you’ve changed the footer, go to a logo editing. hi, TQ for the details and information. i just tried the steps above, but it is not working for now, is there any new way ? ive followed your step more than 10 times, and refresh the browser, but it still there. Thanks! It worked after clearing the cache. Thank you for the tips, it work really well. I was wondering what would happen in case of update of prestashop ? lets say 1.7.3, modifying the .tpl will cause trouble when making the new update ? Thank you for your auto they are well done and easy to understand for beginners ! Frankly speaking, I haven’t tested this method on Presta 1.7.3 yet. In case you do it, please, share your experience! Did this in 1.7.4.3 and no problem, personalized all copyright info. But in the new 1.7.5.0 that I just upgraded to, the modify button does nothing…e explore, mozilla, and chrome, didn’t do anything in either of those browsers. I know I could roll back. We’ll see if they get it fixed. Yes, there is unfortunately such a problem. Let’s hope it will get fixed soon.